I’ve been fascinated at the world of sports ever since. I see to it that I’ll watch the Olympics or any sports in general at the sports channel just to watch them do their amazing stunts. I like to watch basketball and billiards in general, and I also like to watch the gymnastics for they look so graceful and flexible. Another sport that captured my attention is fencing. Why so? It’s a classic swords fight, but not that gruesome and it really looks like perfection. I love the fact that it looks crisp, but in a swift manner. Watching them do the fencing moves makes me want to learn the sport. I have never fenced in my entire life, but I decided to learn everything about fencing, just for the love of the sport. Good thing that Metrodeal has this basic fencing class for only 149 per session! It’s cheaper than on other deals – I’ve seen so many deals posted in the site, and this is the cheapest that I’ve seen. Convenient – Since I’m based in makati, the one located in Perea is the most convenient for me. Fencing gear is provided on the area – after checking the things needed for fencing, I found out that the foil itself is expensive! I simply can’t afford to have one. And the protective clothing needed are more costly. Good thing that they provided these things, and they see to it that protective gear sanitised for the next user. And so I went to my first fencing session in Makati few days ago and they taught me the basics of fencing, and as I arrived I need to be dressed up in my protective gear. They taught me the basics, and boy it was really hard! 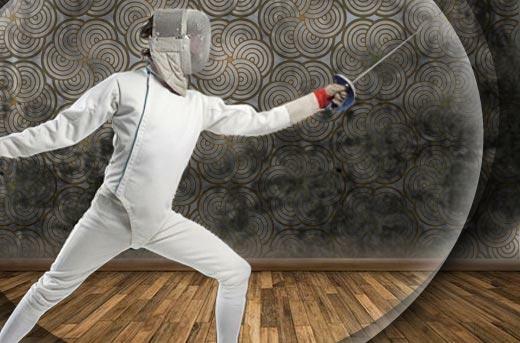 Fencing takes a lot of discipline, and the moves need to be fast. One slight move or point can cause damage or points to the opponent, that’s why professional fencers needs to be swift and precise in order to win. Good thing I bought more on this amazing promo from MetroDeal. Looking forward to my next fencing session! Can’t get over on Q-Mochi’s delectable desserts at a fairly-priced, from MetroDeal! I’ve been a connosieur for sweets and all kinds of desserts for as long as I remember. Desserts, like toys makes me a one happy girlie. It makes me elevate to places, and takes me to the heavenly abode. It’s effect has flown me to exotic places I’ve never dreamed of. Crazy as it sounds, but my sweetness addiction has never stop. It’s been in my daily habit and I think it will never vanish. I love how it struck on me, but I’m ok with that. Right now, I’m craving for unusual sweets for it has a unique taste that I never found on other kinds of desserts. I’ve tried mochis, japanese cakes and pretzels in general. And right now, this mochi cake from a local supermarket in Taguig sure looks promising to eat. 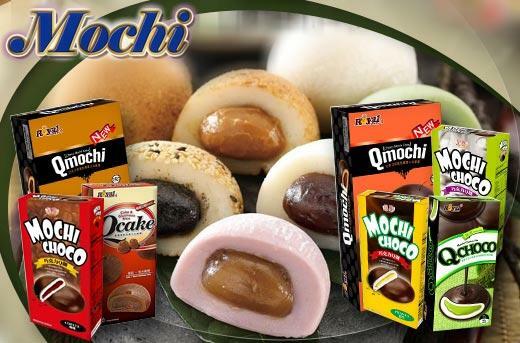 It was from Q-mochi, a well-known mochi brand in Indonesia. I was a surprise for me that there is a mochi brand that came from Indonesia and not on Japan. I think it’s worth the try, knowing that it came from a place unknown for me. A friend of mine told me about this discount promo from Metrodeal – Q-Mochi’s mochi cake or choco pie promo from Metrodeal sure looks promising! I saw these astounding mochi cakes from the grocery and it costs around 300 pesos, while in Metrodeal it only costs around 140 pesos, and I think it’s a sweet deal! And so without second thoughts, I purchase the deal and went straight to Market Market to got the promo using my identification cards and my printed voucher that is needed to claim the sweet treat. And boy I tell you, it was heaven on earth to have that mochi cake, I can hear the angels sing Handel’s Aleluia chorus after having my first bite! And even the mochi choco pie has the balance of sweetness that I’ve been craving for. It was all worth it! Luckily, that I bought 10 vouchers for this incredible Metrodeal promo, so that I could share this delightful treat to my friends and family. For sure they’ll be surprised on this amazing promo, and on this delectable Indonesian treat.